Gold Supplies Are Limited – Time is Not On Your Side! Unlike paper money, stocks, bonds and real estate, gold cannot be produced. We are limited by the supplies available on earth, and as you can see from the graph below, the world is running out of mining sites. The 2008 Crisis was a big wake up call for many American investors. Real Estate prices dropped overnight. Stocks & bonds became highly unpredictable. Major currencies like the US dollar and Euro also went on a downhill path. Virtually every other type of traditional investment was no longer trustworthy. Banks and governments themselves have been looking for ways to hedge against market volatily, and precious metals such as gold and silver turned out to be the best option. In order to know if you can invest in precious metals through your existing retirement vehicle, check out the table below. As you can see, there are over a dozen types of retirement vehicles in the United States. Which one(s) do you have? Each account has its own limitations and flexibility. 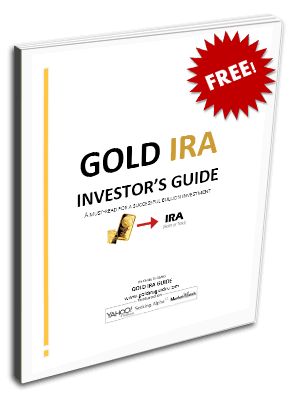 Most accounts should allow you to achieve a gold IRA rollover. What Percentage of My Portfolio Should be Dedicated to Gold & Silver? Most financial analysts agree that 5 to 10% of your retirement portfolio should be dedicated to precious metals. APMEX recommends 5 to 30%, depending on the level of risk you are willing to take, and your overall faith in the dollar and future of the economy. Since a self-directed IRA gives you full control of your investments, you are free to add any type of precious metal coin or bar to your portfolio, as long as it is IRS-approved. If you are investing a large amount in precious metals ($100,000+) many recommend a healthy mix of gold, silver, platinum and palladium. If you are investing a small amount (e.g. $5,000) focusing on one metal is probably a more common strategy. Since every portfolio is different, we highly recommend speaking to both your financial advisor and a trustworthy gold IRA custodian before making any investment decision. We send out a newsletter containing valuable exclusive tips and information on precious metals investing. Our newsletter is only sent out once a month and you can unsubscribe at any time. Enter your name and email below to get started, it's free!